Summer typically gives children lots of time on their hands. Why not read a book about the changes that come with the season or all of the adventures that can be had during that time? 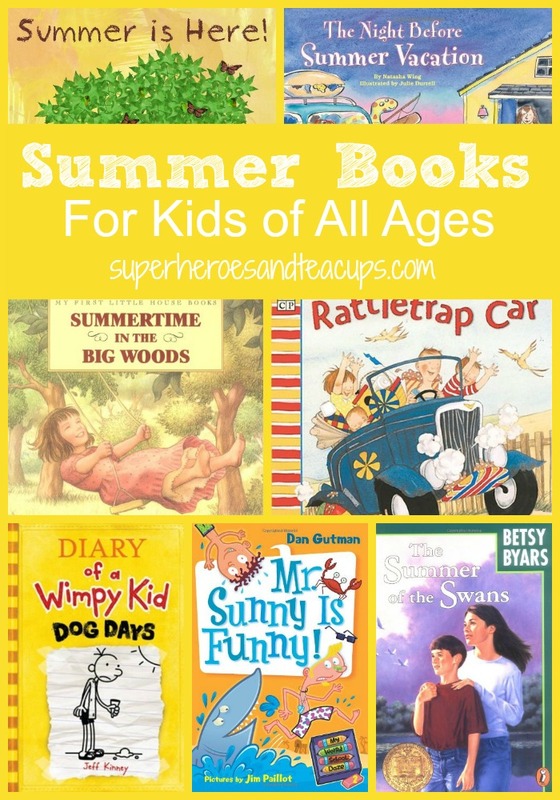 I’ve found several fun picture books and exciting chapter books to share with you. I hope you find something your child will enjoy! 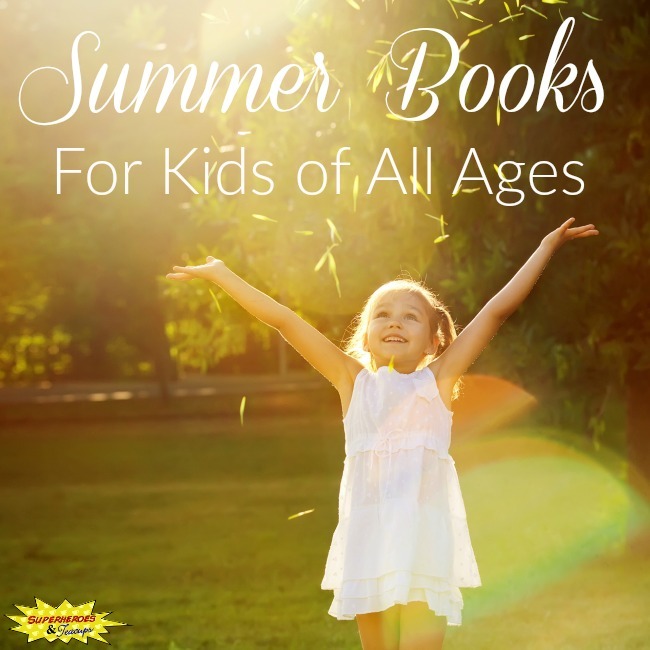 Fans of the original Little House on the Prairie series will love Laura Ingalls’ summer adventures in the picture book Summertime in the Big Woods. Readers can experience one little boy’s wild west adventure in How I Spent My Summer Vacation by Mark Teague. Rattletrap Car by Phyllis Root takes younger readers on a summer road trip to remember. The Night Before Summer Vacation can be a little crazy, as readers of this humorous book by Natasha Wing will soon discover. Follow along with one family’s summer fun in The Relatives Came by Cynthia Rylant. Young children can explore the beauty of nature in the summer in Summer Is Here! by Heidi Pross Gray. The My Weird School Daze kids are back for another hilarious adventure. They are spending the summer at the beach in Mr. Sunny Is Funny! by Dan Gutman. Will Greg get to spend his summer vacation inside, like he wants? Find out in Dog Days (Diary of a Wimpy Kid) by Jeff Kinney. Basketball camp won’t be easy for Danny in Summer Ball by Mike Lupica. Readers won’t want to miss a minute of one girl’s amazing summer adventures in Judy Moody and the Not Bummer Summer by Megan McDonald. In the classic The Summer of the Swans by Betsy Byars, readers will experience a summer day in the life of a 14-year-old that no one will ever forget. One boy’s lawn mowing business quickly gets out of hand one summer in Lawn Boy by Gary Paulsen. The Bailey School Kids are trying to figure out if their summer camp director might actually be a werewolf in Werewolves Don’t Go to Summer Camp (Bailey School Kids #2) by Debbie Dadey. Thanks for this great list of book suggestions. I hope you found something fun to read with your child!